At least 10 people have been killed in a suicide bombing at a Shia mosque in Saudi Arabia's Eastern Province, a doctor has told the BBC. 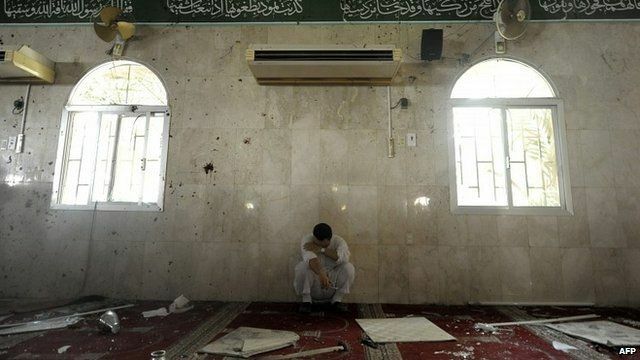 Witnesses reported a huge blast at the Imam Ali mosque in the village of al-Qadeeh, in Qatif governorate. Footage shows shattered glass and debris next to the tiled pillars inside the mosque. BBC Arab Affairs Editor Sebastian Usher explained it was the first such incident in Saudi Arabia amid rising Sunni-Shia tension in the wider region.